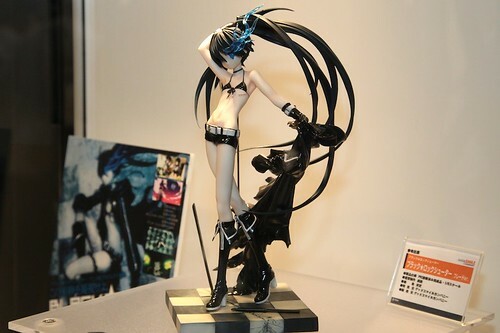 Some figures updates from C3xHobby event that was held recently, for more photos and information do visit AkibaHobby.net. 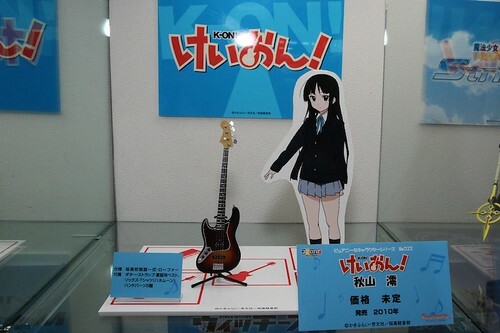 Most of the figures on display was already shown during Wonfesu, so I just posted some of the more interesting ones. 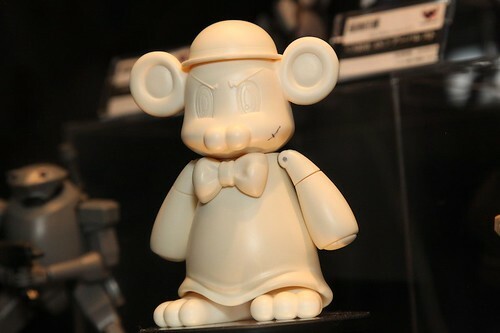 First look at Azu-nyan nendoroid prototype. 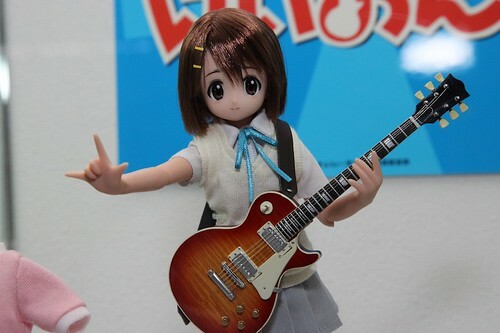 So the K-ON! Nendoroids is now complete. 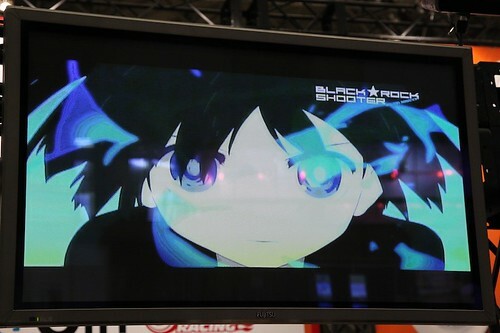 A promo video of the soon to be release Black Rock Shooter pilot animation. The promo vid looks good. 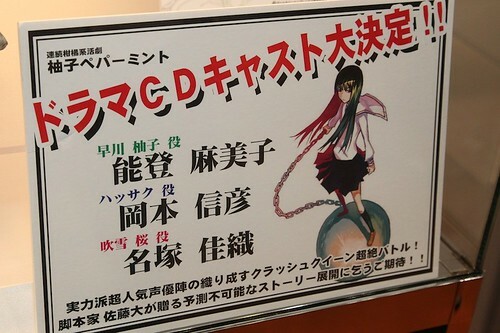 The DVD that contains the pilot animation for BRS, releasing next month. 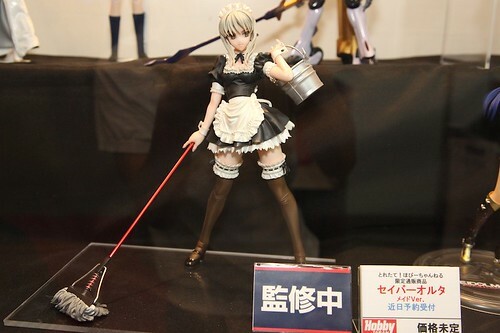 Looks like the new Maid Saber from Alter is the Saber Alter version. 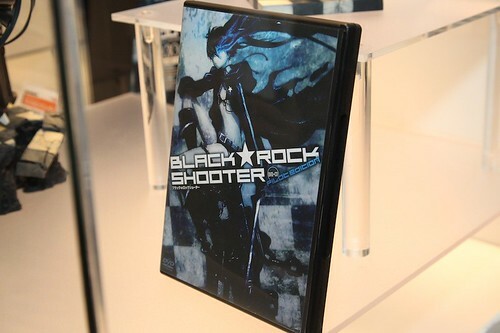 Bonta-kun, I so want this. 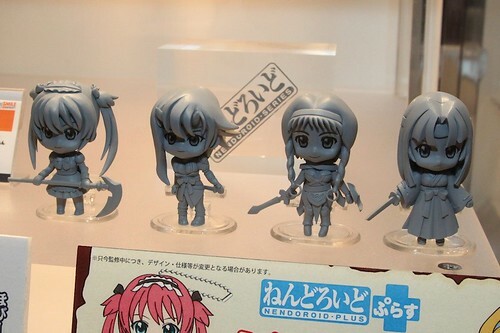 There’s gonna be a Mio too. 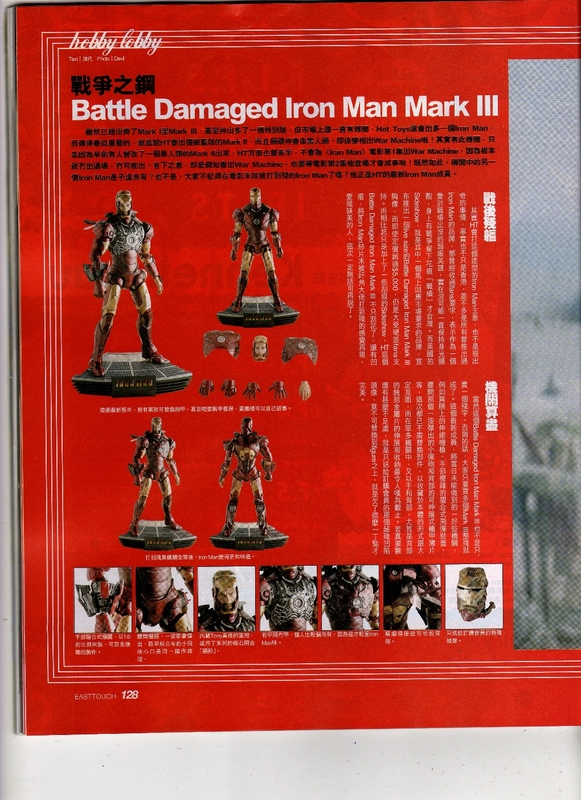 A magazine scan of Hot Toys Battle Damaged Iron Man Mark III, looks really awesome, click on the image for a larger version. This entry was posted in Cosplay, Model Kits, Photography on June 6, 2018 by Rosemary Curtis. 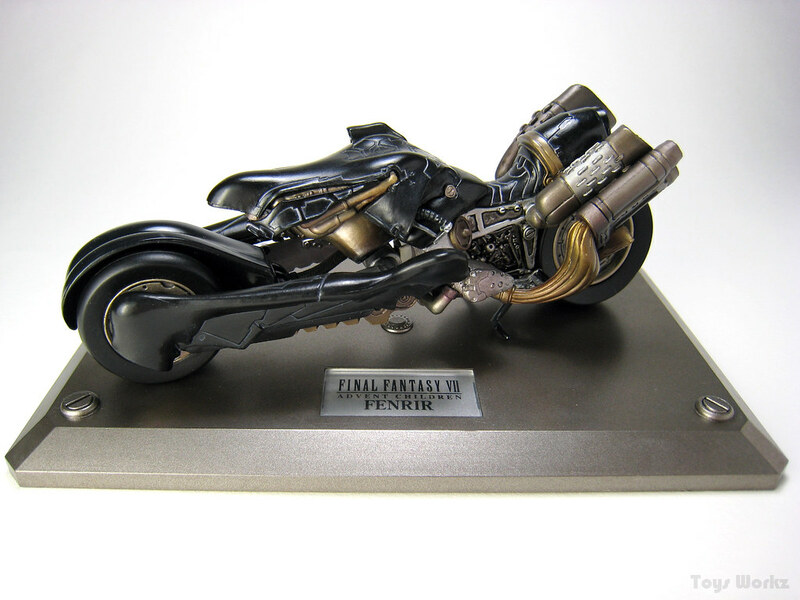 Fenrir is Cloud new bike in Final Fantasy VII Advent Children, a replacement to the Hardy Daytona he used in the game. Fenrir have a more futuristic design compare to Hardy Daytona. 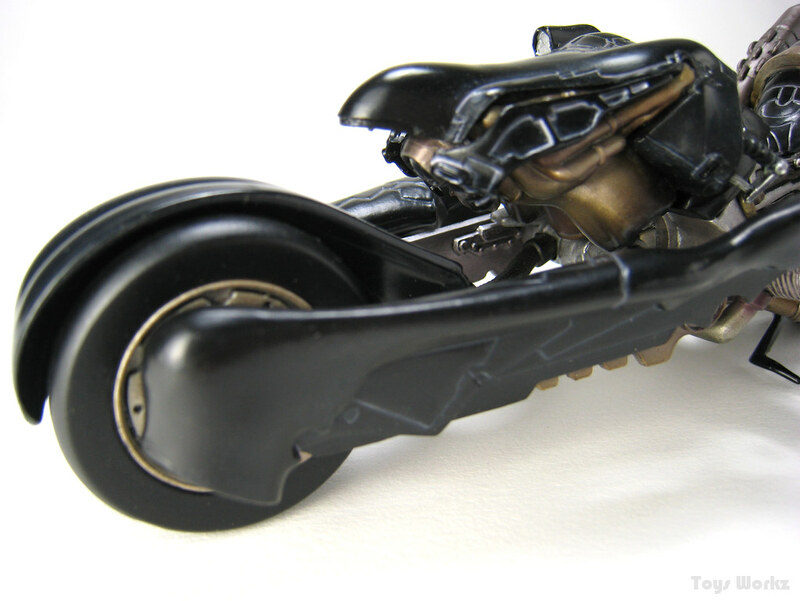 Beside that, another cool thing about Fenrir is that it can store all of Cloud’s swords, but this is not shown in this die-cast model though. 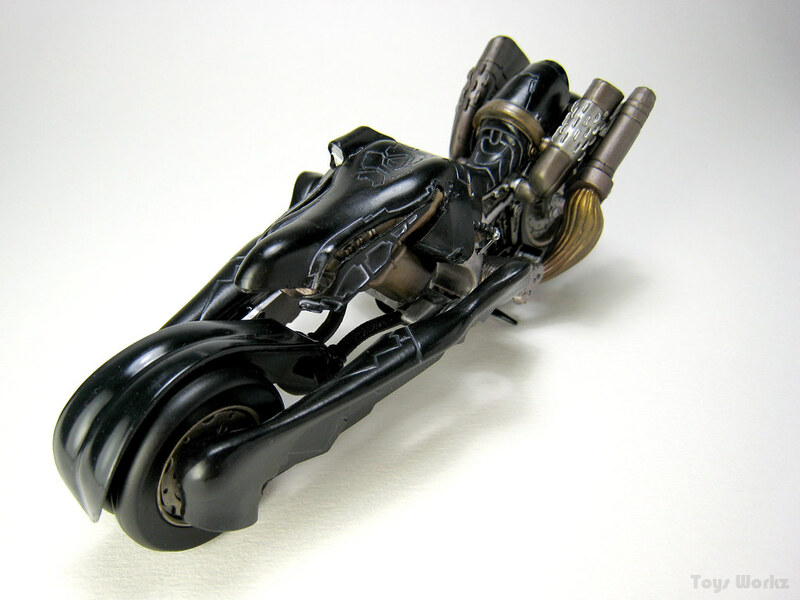 Fenrir is part of Final Fantasy Mechanical Arts series that present some of the most popular vehicles and ships from various Final Fantasy games. Fenrir comes with a very nice base painted in gunmetal and with a nameplate on it. 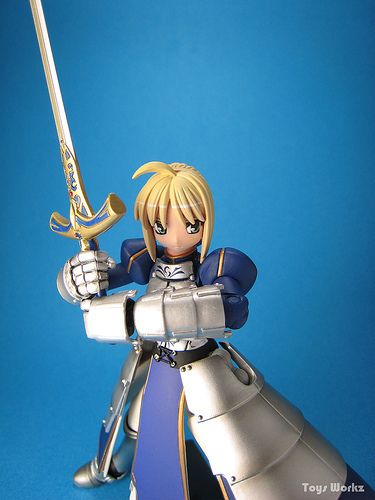 Even though it’s small, measuring only 12cm, it is beautifully sculpted to the smallest detail. In the movie Final Fantasy VII Advent Children, this is the part of Fenrir where Cloud’s new swords is stored. 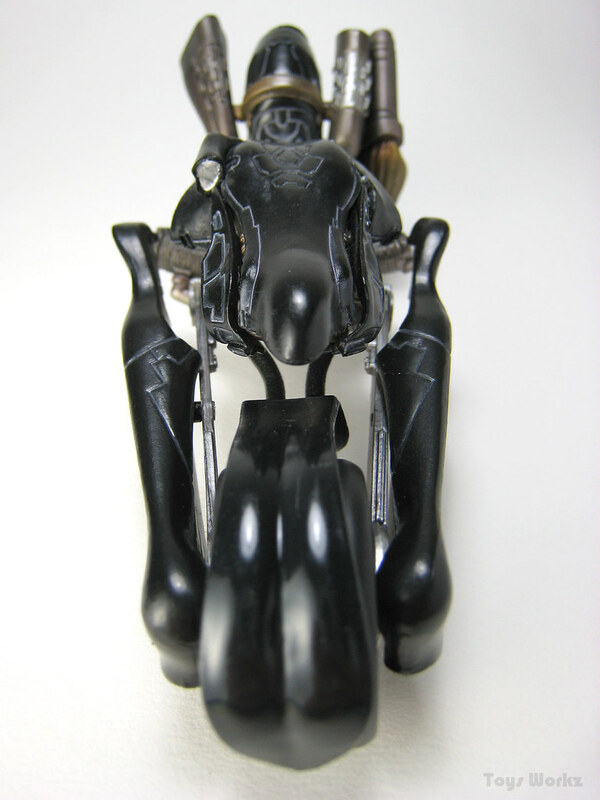 The intricate design on the Fenrir. Beautifully detailed and scuplted. The paint job is superb as well. This entry was posted in Anime, Model Kits, Photography on June 5, 2018 by Rosemary Curtis. 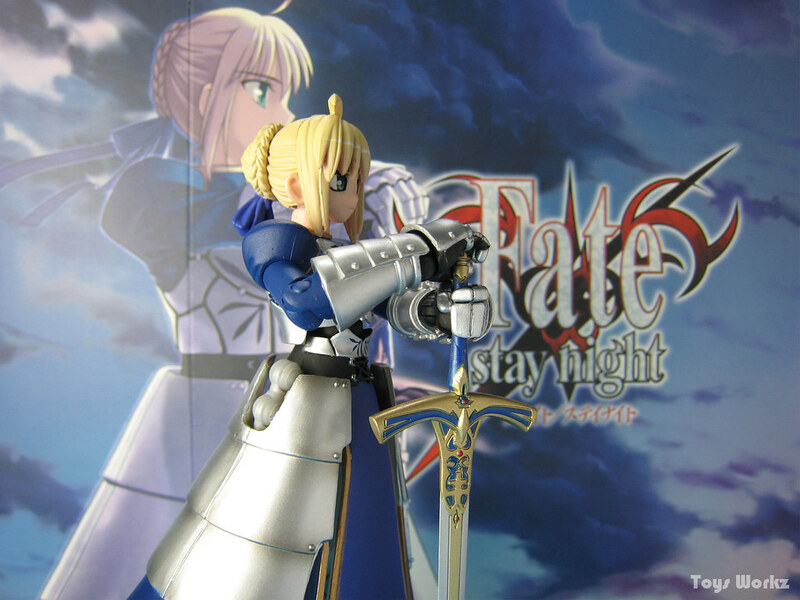 Saber was given the honor of becoming the first Fate/Stay Night character to be release by Revoltech, she’s also the first figure from Revoltech 2G line. 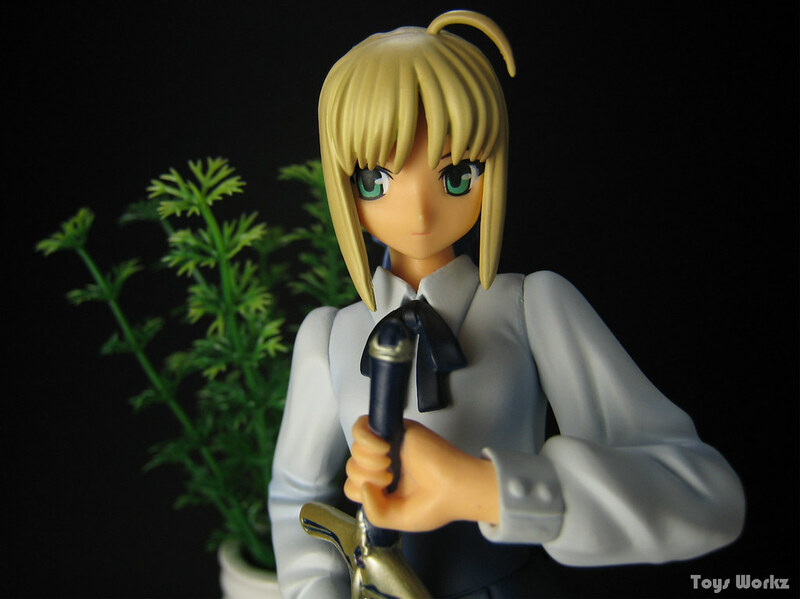 I ordered Revoltech Saber from Play-Asia because of the cheaper price, she arrive on Wednesday just as I had expected. 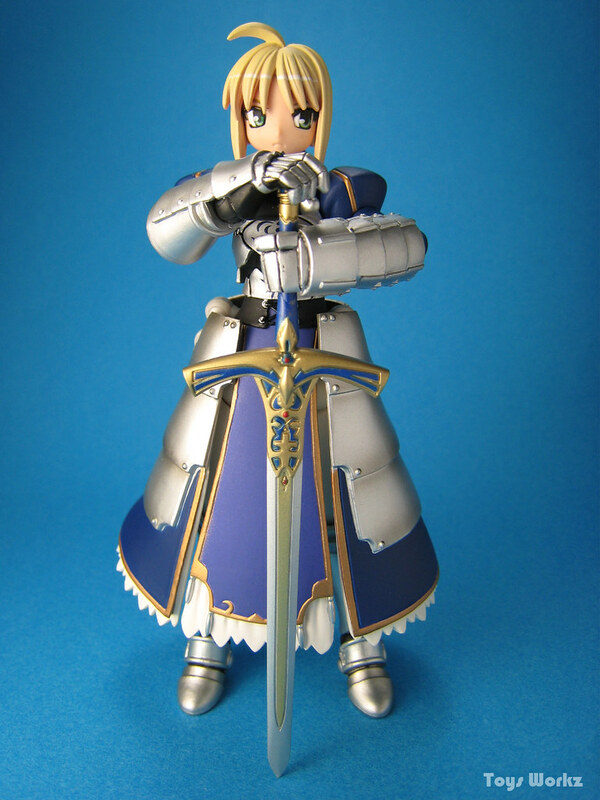 As usual there wasn’t much protection around the box but fortunately Saber’s box was not damage. 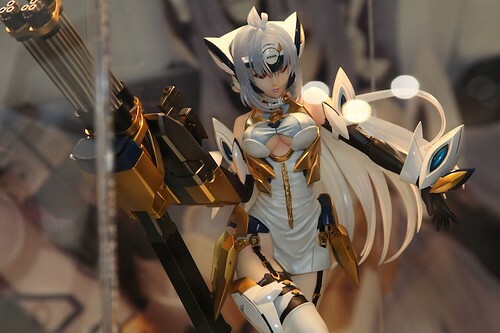 Before she arrive, it was posted in forums by some people who already got her she got a broken elbow right out of the box. This really got me worried but there was nothing I could do about it as P-A already shipped her out. So as soon as I received her I quickly took her out of the box and check for any broken parts and was relieve that she’s perfect. I had actually took some photos of her on the day I received her, but I decided to retook them after I adjusted my mini photo booth a bit. I use the background cardboard from the box for the first photo. I tried to get Saber into the same post as the picture on the cardboard and this is the closest that I can pose her. The articulation is pretty good as usual but I wish she comes with different set of hands so that I can make a proper pose for this shot. But still it came out pretty good. 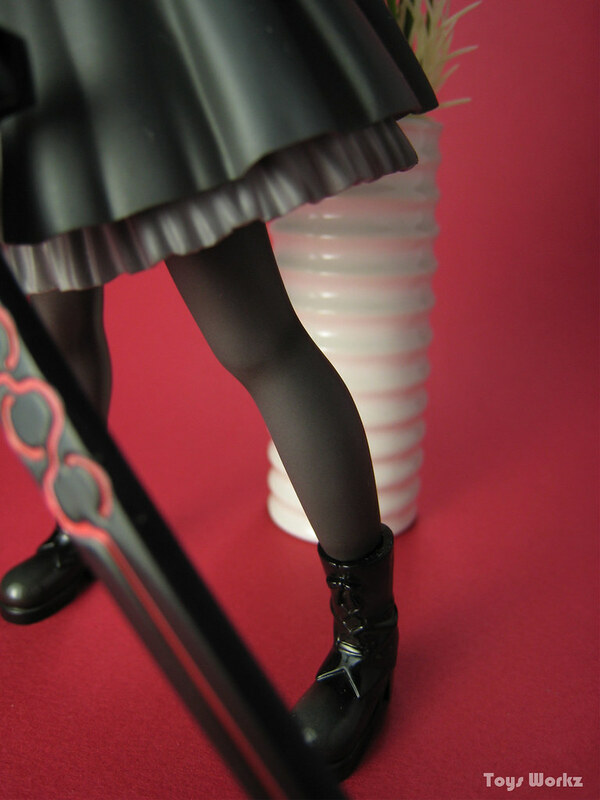 The skirt armor have joints that allow the legs to move around. There’s a joint between the hand and the arm as well, this makes it easier to make her hold her sword with both hands. 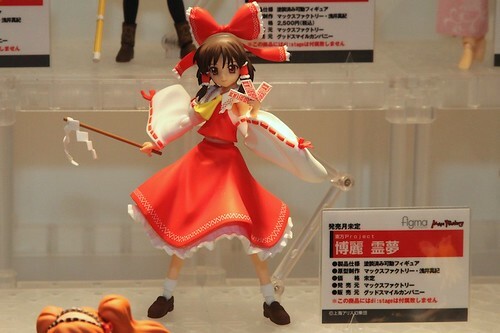 She comes with a base to help her stand and also an extension to the base for jumping and flying pose but it’s not easy to pose her in the air as she’ll needs to be properly balance otherwise she’ll just fall down. 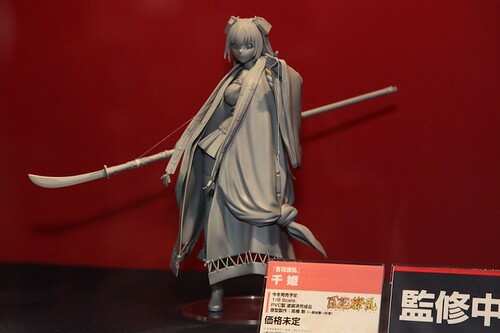 She comes equip with two swords, one a transparent sword which should be her noble phantasm “Invisible air” and the second sword is Caliburn. 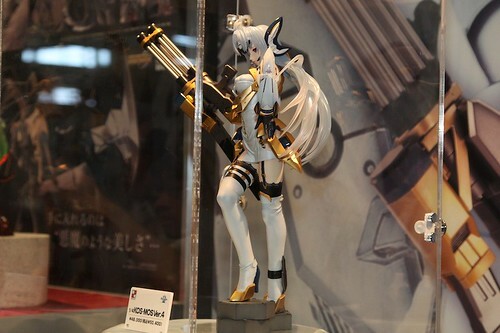 She should have comes with Caliburn and Excalibur though and maybe with Excalibur scabbard Avalon as well, oh well I can dream . 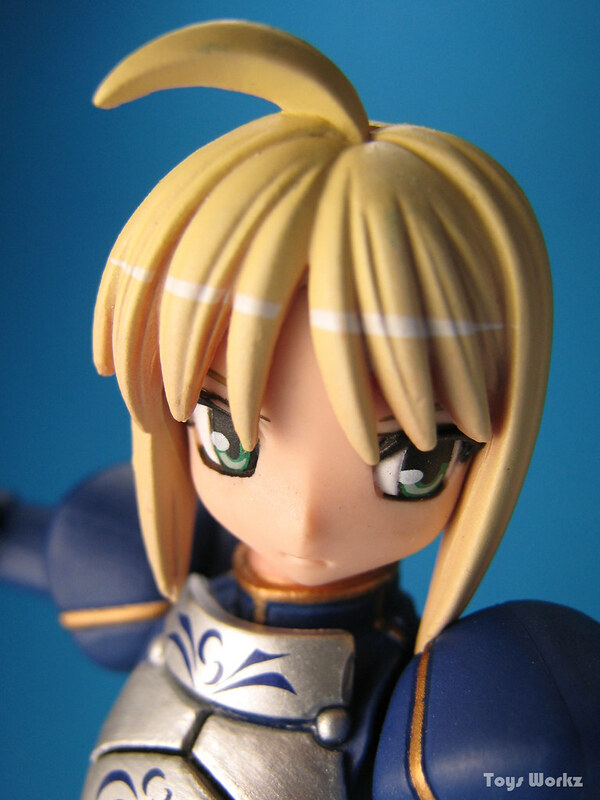 Quite detail face for a small figure, I should stop calling her small as she’s actually about 14cm tall standing straight, only a head plus shorter that Kotobukiya 1/8 Saber. 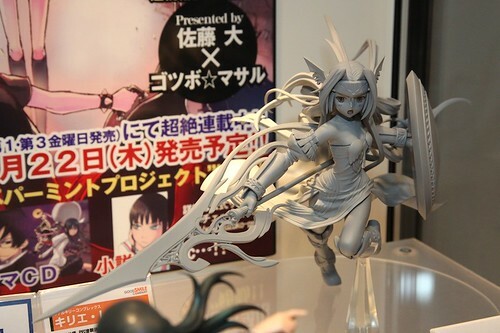 Kaiyodo will also be releasing Revoltech Dark Saber in July which is even cooler looking. It seems Dark Saber will comes with Excalibur. If she do then it will be great. 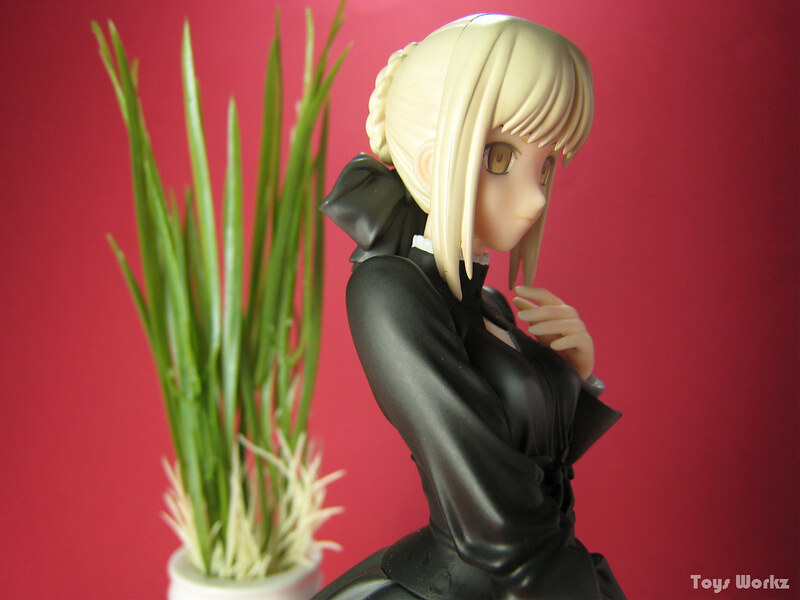 More photos of Dark Saber here. I seem to be posting a lot of Saber lately, but what to do I have quite a number of Saber figures . 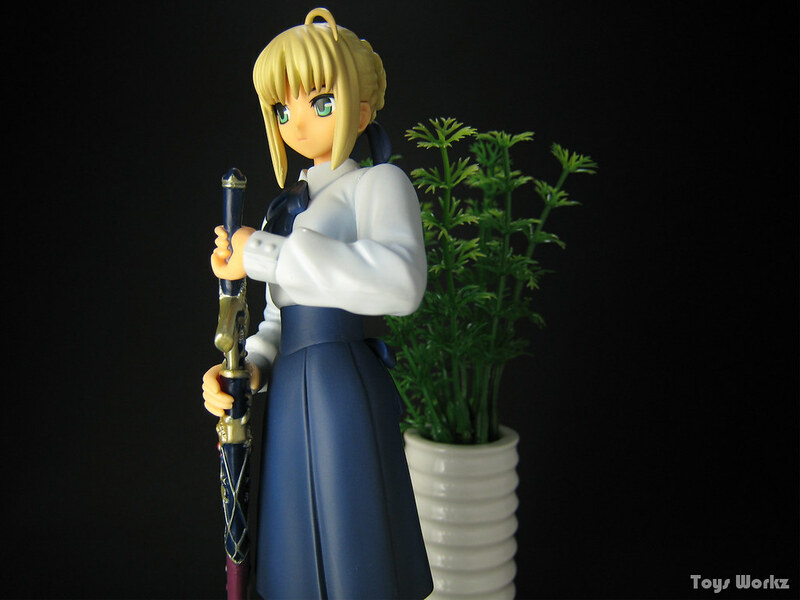 This time is a 1/8 Saber by Kotobukiya, she was the first Saber I added to my collection after failing to get Alter Black Dress Saber. Here she’s depicted in her casual wears a simple very white blouse with blue ribbon, a dark blue skirt, a pair of brown boots with black pantyhose. In the anime this is what she wears most of the time. 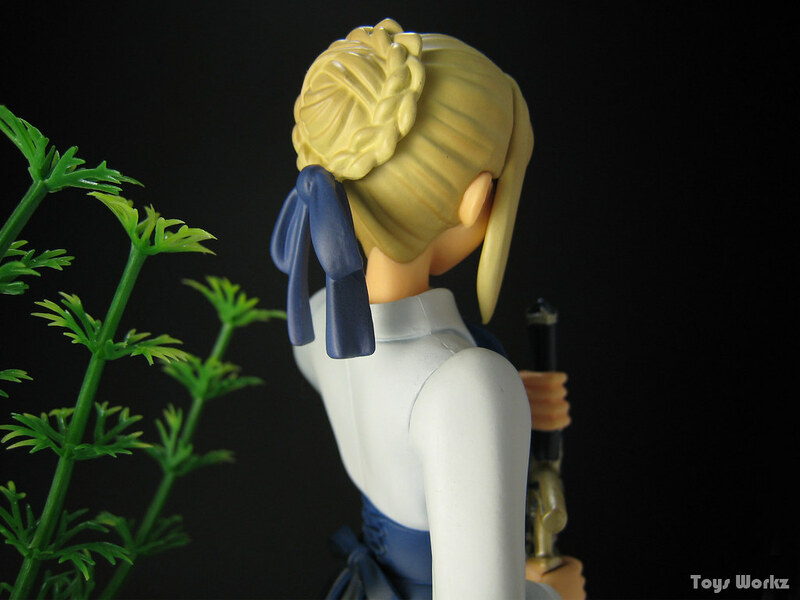 She’s also holding Caliburn partially out of the scabbard. 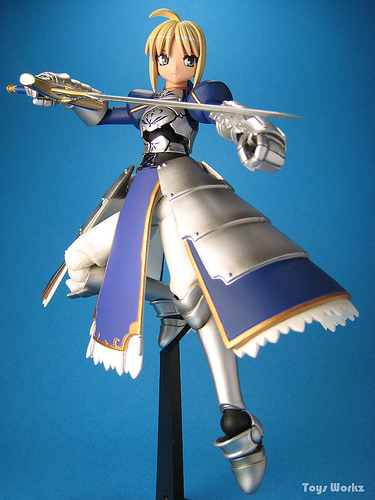 She’s come with a very simple blue base, but she can actually stand without the base. 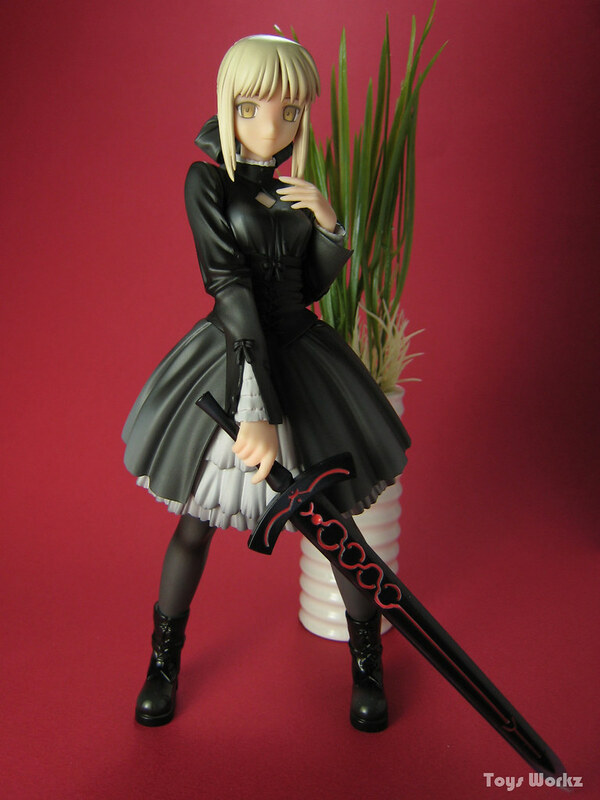 I decided to use a black background for her, this is the first time I am using black color so took me a while to get the photos to come out nicely. 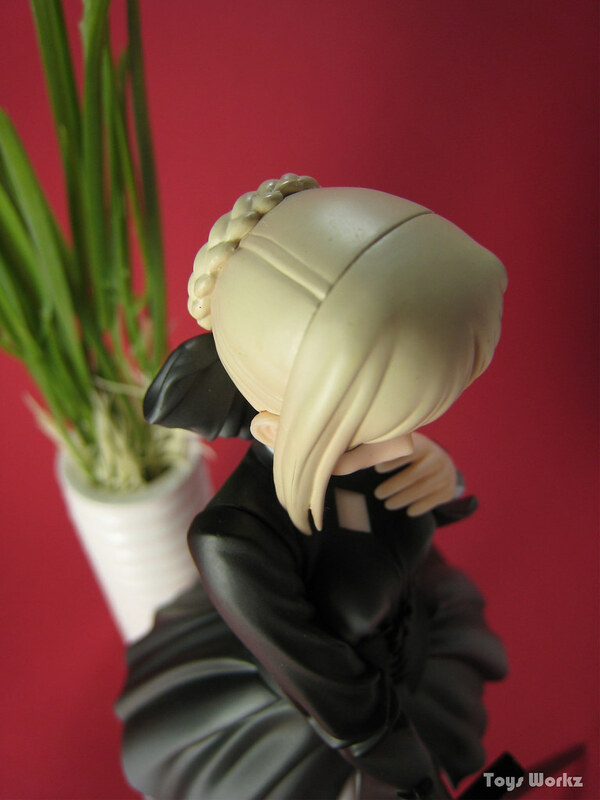 Her sculpture is quite simple and with minimal detail. Still it’s quite nice for a 1/8 figure. 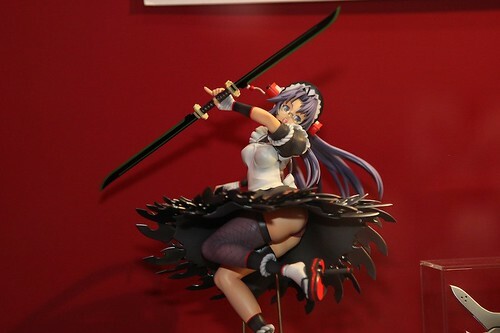 The detail on her sword is superb though. I never did notice that her eyes are green until now. Kawaiii face as usual. Her eyes color can be seen more clearly in this photo. 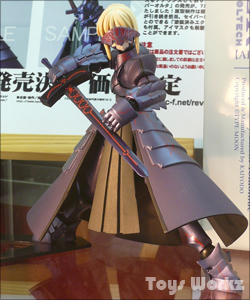 The overall quality is pretty good though not as detail if compare to Alter Black Dress Saber which is also a 1/8, will be posting her soon . 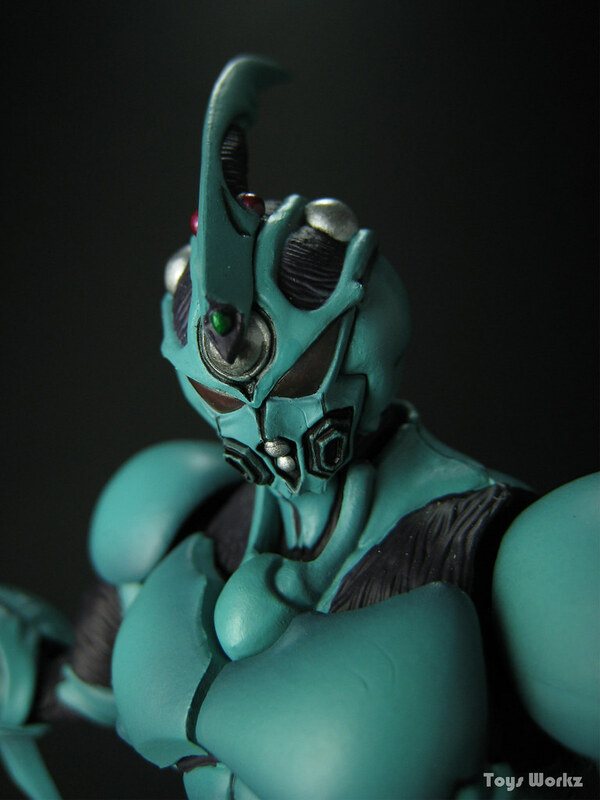 Bio Booster Armor Guyver is a long running manga series by Yoshiki Takaya that begins in 1985. Currently the manga is at volume 24 and doesn’t seems to be ending anytime soon. The main protagonistis a 17 years old student name Shō, who merges with Guyver unit 1 by accident. 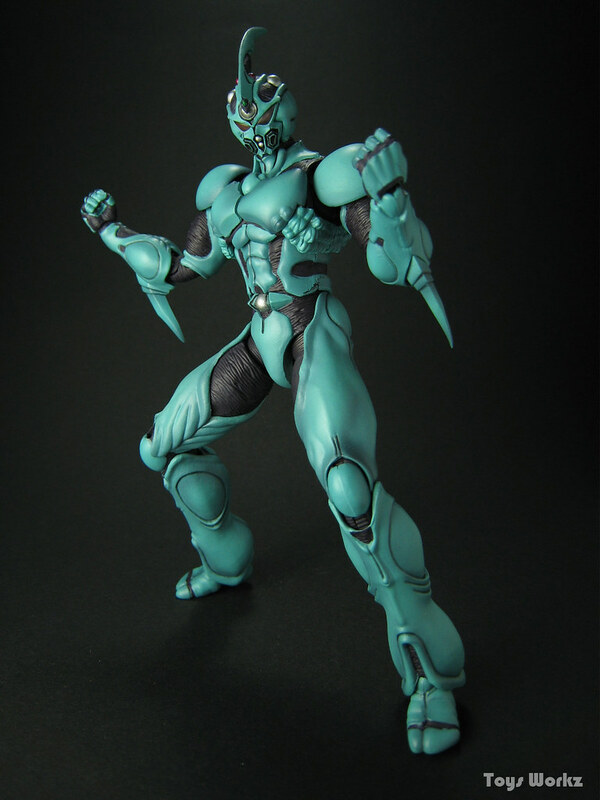 This figure is was release by Max Factory as part of the Bio Fighter Collection line of action figures. 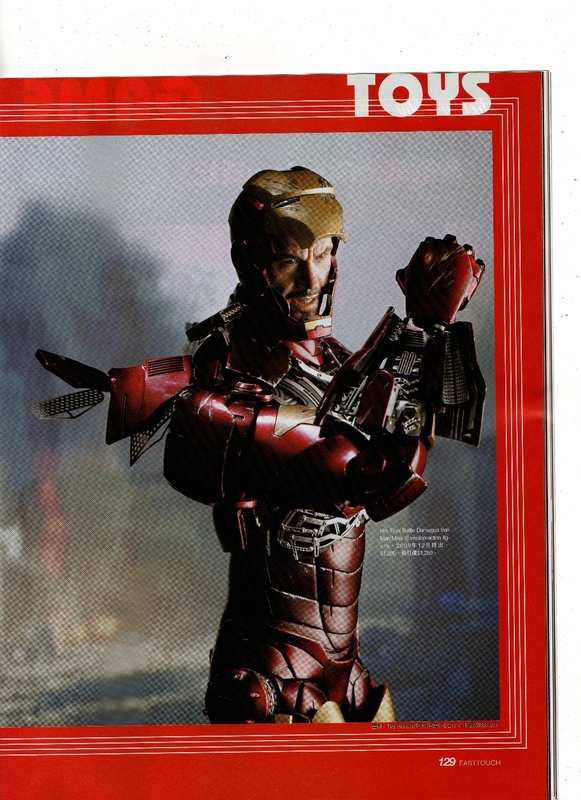 It’s fully articulated and comes with additional hands, head and weapon. 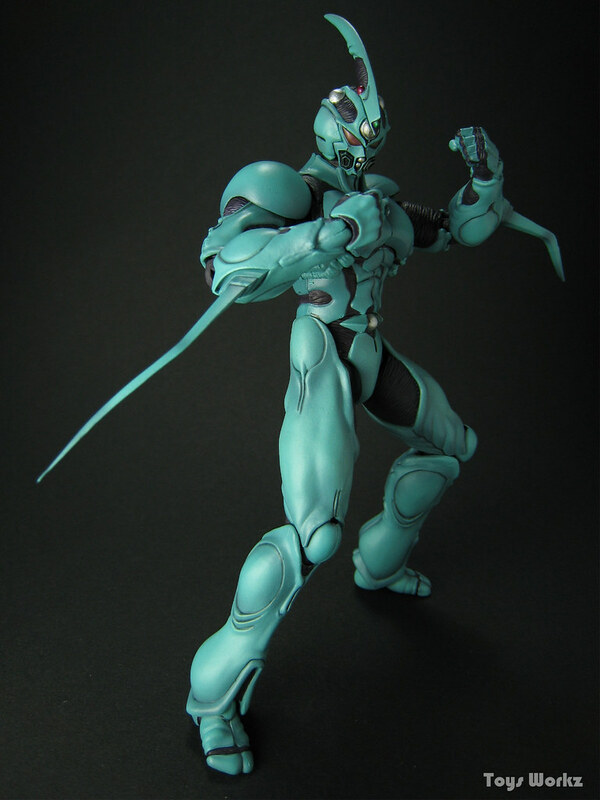 It also comes with a simple black base with the name Guyver on it which I had forgotten to take pictures of. At first I wanted to use red background for this photo session but somehow the red came out too bright, I wanted dark red but can’t seems to get it. 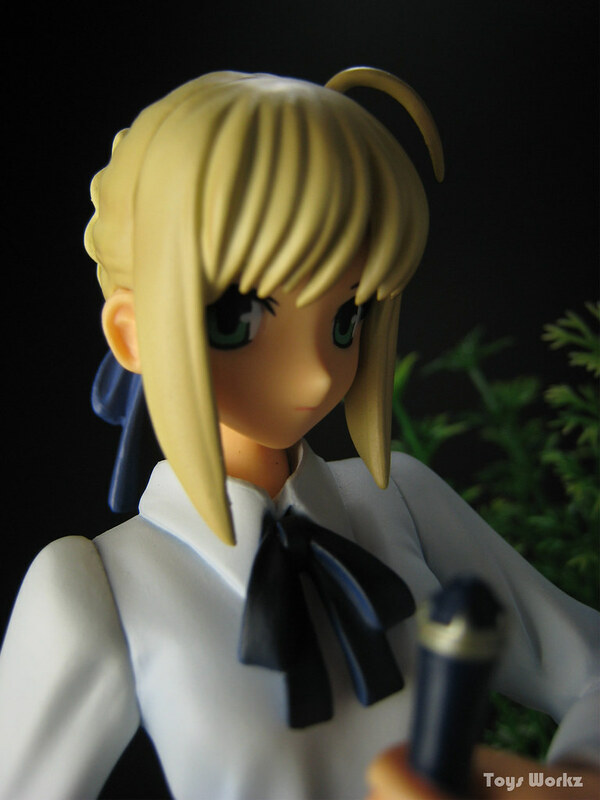 So in the end I resorted to black instead but suprisingly I had to use -1 2/3 EV to get the black to look really black instead of just -1 which I use for my previous photo session with Saber. Must be something wrong with the light placement, will need to try out more on that. Even though it’s fully articulated, it’s not easy to pose him as some part of the armor are blocking the joints movement. 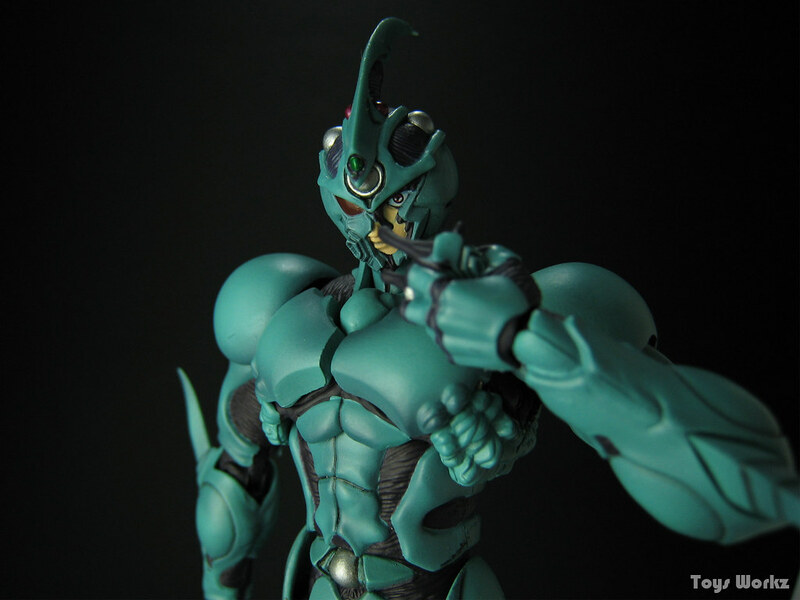 Also the exchangeable parts are joint together using a simple small rod, so it’s quite lose and will usually drop off when you are trying to pose him. 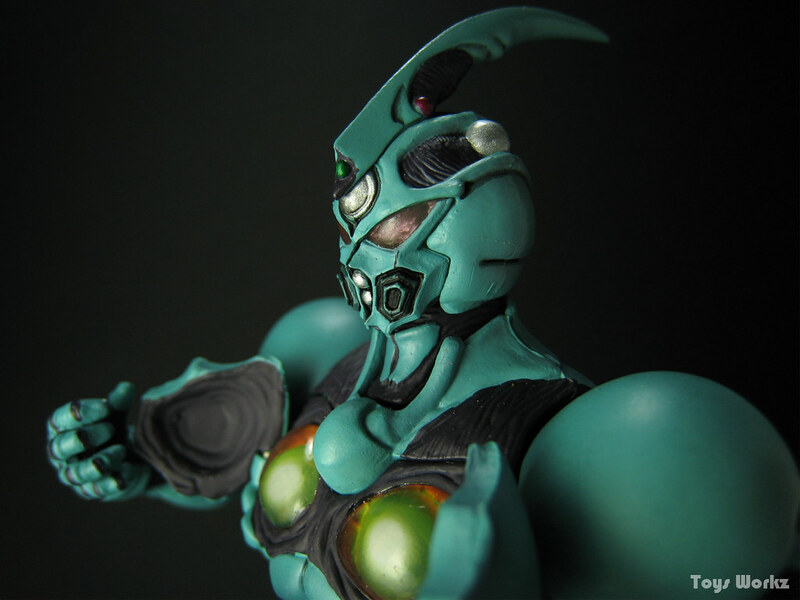 The shoulders armor also drop off quite easily since it’s just slotted onto the shoulder ball joints. Alternate head where part of the face armor is torn off and a corresponding alternate hand tearing off the armor. 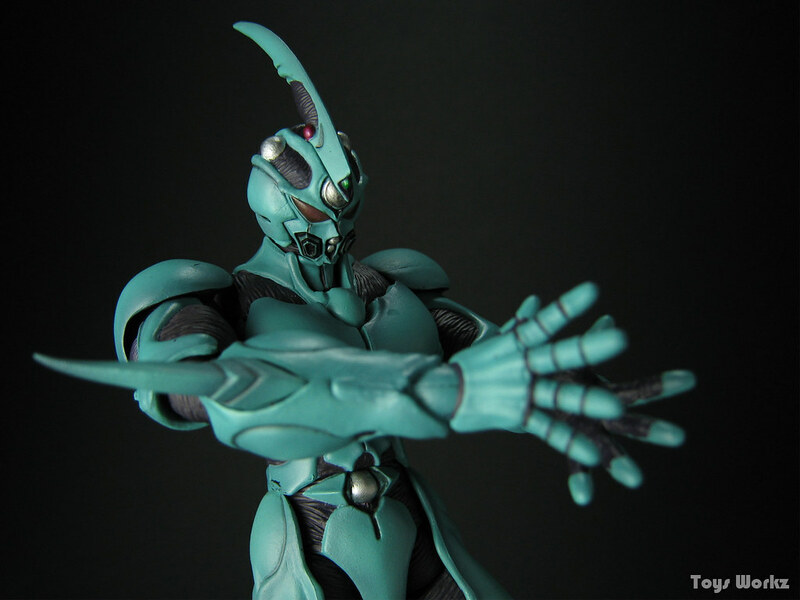 Overall quality of the sculpt and color is pretty good but the articulation definitely needs some improvement. I got this as a b-day present from my ex earlier this year, wonder what I’ll get next year hehe. 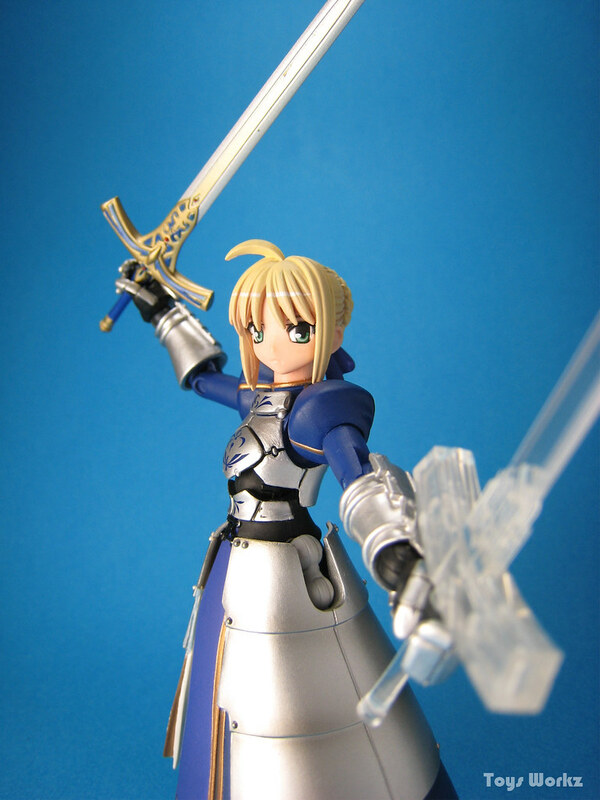 This entry was posted in Anime, Model Kits, Photography, Rant on June 5, 2018 by Rosemary Curtis. Decided to visit my local hobby store today during lunch hour as it’s been a while since I been there. Check out their website before hand on what’s available, especially those older figures that I plan to get. When I reach there something else caught my eyes instead, lo and behold, its Shunya Yamashita Rosanna starring right at me. 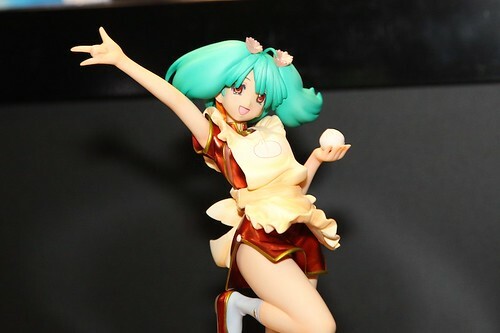 Now Shunya’s stuff been getting a lot of spotlight lately with Danny’s review on Mirei-san and super rats beautiful photos of Rosanna, so I have been planning to get one of Shunya’s figure myself. 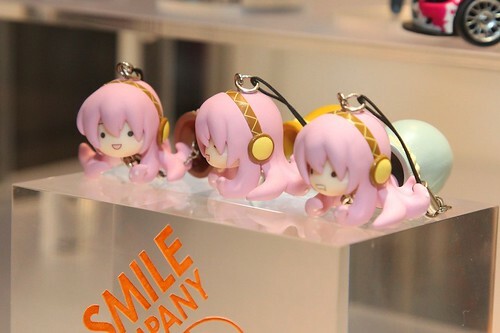 I wanted to get Mirei-san, but she’s sold out everywhere, so I though I might as well wait for Non-non in August. Never would have thought that I will still be able to get Rosanna and here she’s on the shelf starring right at me. 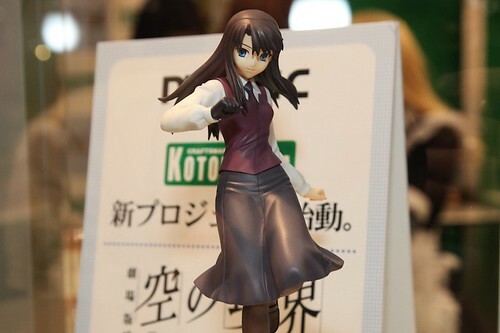 It would have been quite an easy choice but then I was quite interested in getting another figure that’s just next to Rosanna, and she’s Amaha Masane casual dress version by Kotobukiya. Well if you compare the two of course Rosanna would have win hands down but Amaha Masane was cheaper . After looking at the two and putting them down, and looking at them again I guess the guy there decided to help me out by telling me that’s the last Rosanna they have, non of their branches have her anymore. So in the end I took both of them and put them on the counter. Few minutes later I walk out of the store with my wallet lighter but with a grin on my face for getting two very nice figures . This entry was posted in Figure Reviews, Model Kits, Photography on June 5, 2018 by Rosemary Curtis. 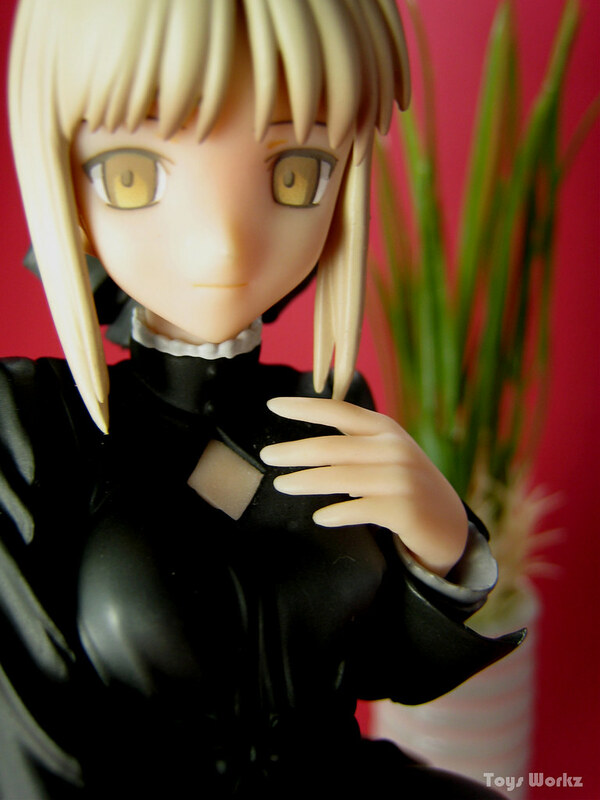 Same as the Saber-Alter I posted up recently, her eyes and hair color are different from normal Saber and she also lost her “ahoge”. Here she still retain her cute face while in Griffon version her face is more serious. 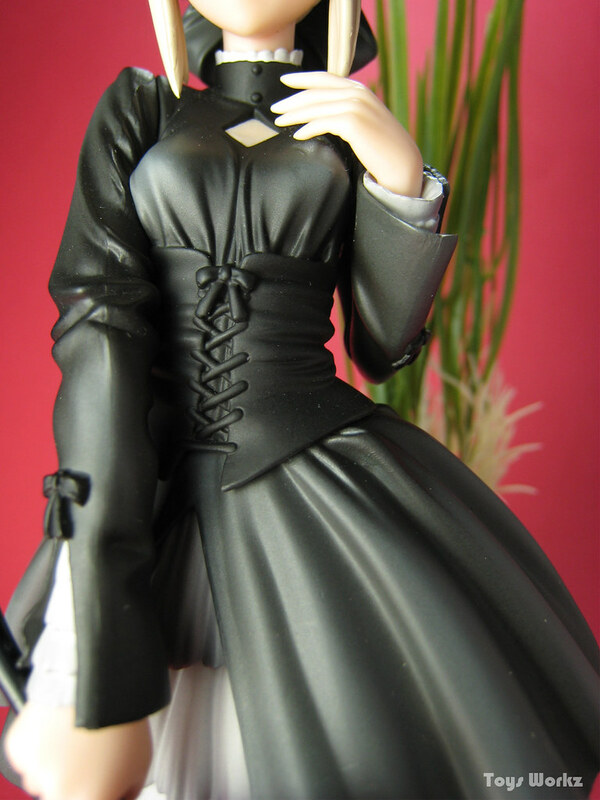 As I mention earlier the dress is very detailed. A closer view of her dress. I am very satisfied with the quality of this figure, she may cost me more than the other 1/8 that I have but it’s well worth it. The production quality is really good and the amount of detail they put into her is superb. Finally I have completed my photo session for Rosanna. Took longer than usual for me to post up photos of my latest girl but I think it’s well worth the wait . 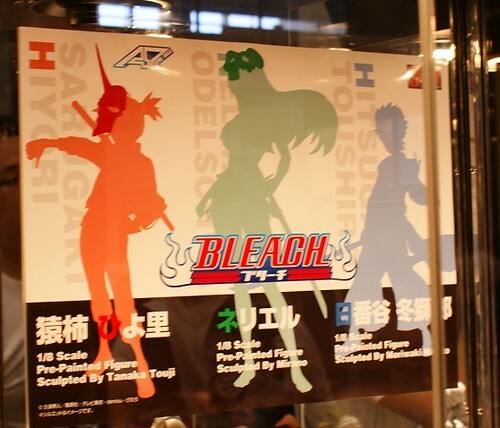 Before I bought Rosanna, I have already seen some figures based on Shunya Yamashita’s illustration, the first being Sera-chan. 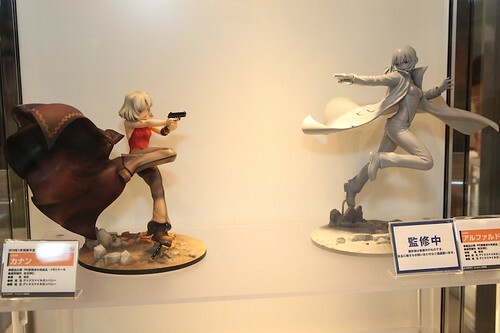 At the time they don’t really attract me much until I saw the Kotobukiya exclusive Mirei San, she caught my attention and spark my interest in Yamashita’s work. 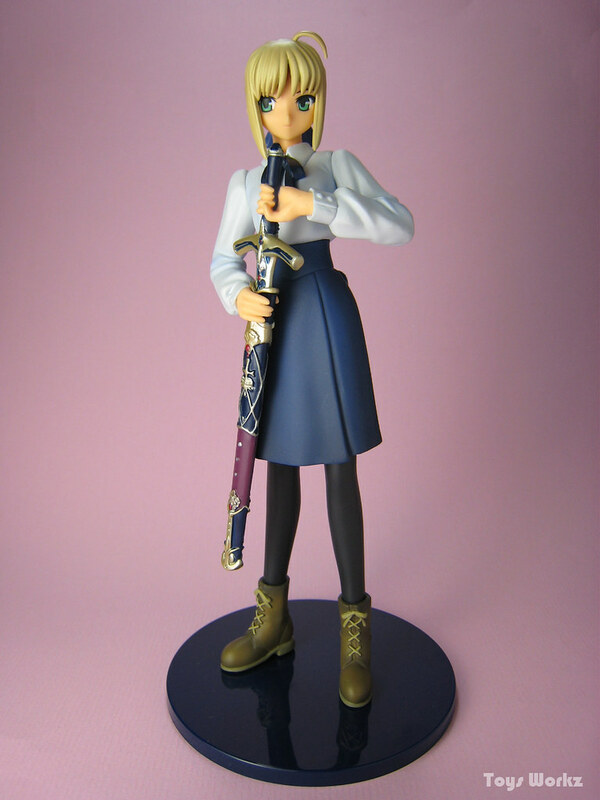 Rosanna wasn’t my first choice as my first Art of Shunya Yamashita figure, she was more of an impulse buy. Taking a closer look now and I am really glad that i bought her as she looks really great. She’s a mix of fantasy and heavy metal style as can be seen from her physic defying outfit and huge sword. Now on to the pictures…. 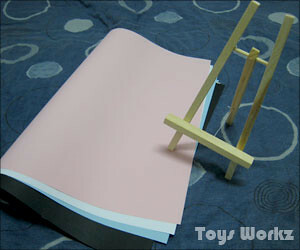 Instead of the usual plain background, a wrapping paper is use for this photo session. It works pretty well and using a netting as a veil, she looks more mysterious. 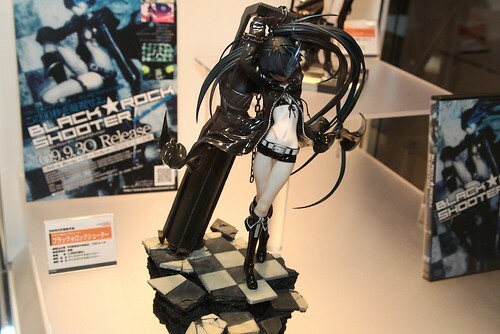 She’s most probably the only figure in my collection with a more realistic body propotion. 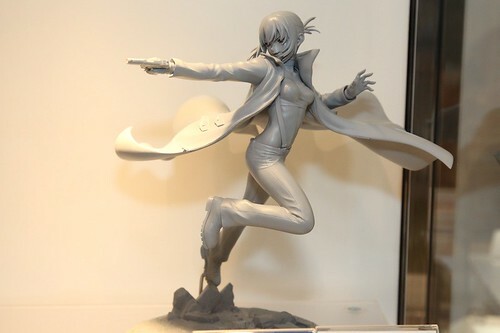 She was sculpted by Eiichi Ishida who did a good job in capturing her looks based on Yamashita’s illustration. The design of the outfit is very nice and very revealing too. 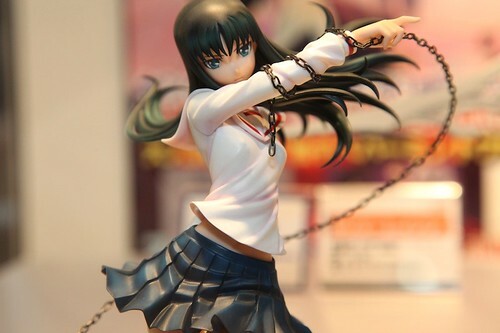 This entry was posted in Anime, Figure Reviews, Model Kits, Photography on June 5, 2018 by Rosemary Curtis. Latest addition to my growing figure collection is Kotobukiya 1/6 Witchblade Installing version, and man she’s huge. Will have a photo session with her and Amaha Masane soon. Before that needs to get some inspiration, hmmm maybe watching Witchblade anime and digging up my old Witchblade comics might help. The two Lacus are for my housemate’s friend, the guy is crazy on anything to do with Kira Yamato, including collecting Kira’s girlfriend figures. Both the Lacus looks pretty good, I hope RAHDX gonna release a Kira figure so that I can put him together with my Freedom gundam. My search for materials that I can use for my gunpla/figures photoshot brought me to Ikano today. I was looking for texture color paper to be use as background, a sort of frame to hold the reflector and most importantly lamp. Found the color paper at Popular bookstore, it’s smaller than the cardboard that i plan to use as backing but that’s ok. Got a suitable frame at Ikea for 2.90 to hold the reflector and as for the lamp, found out I got the wrong type. I needed white natural light, but the one I got is yellow light but at least I still can use it while I am building my gunpla. Looks like I’ll need to make another trip down to Ikea again. 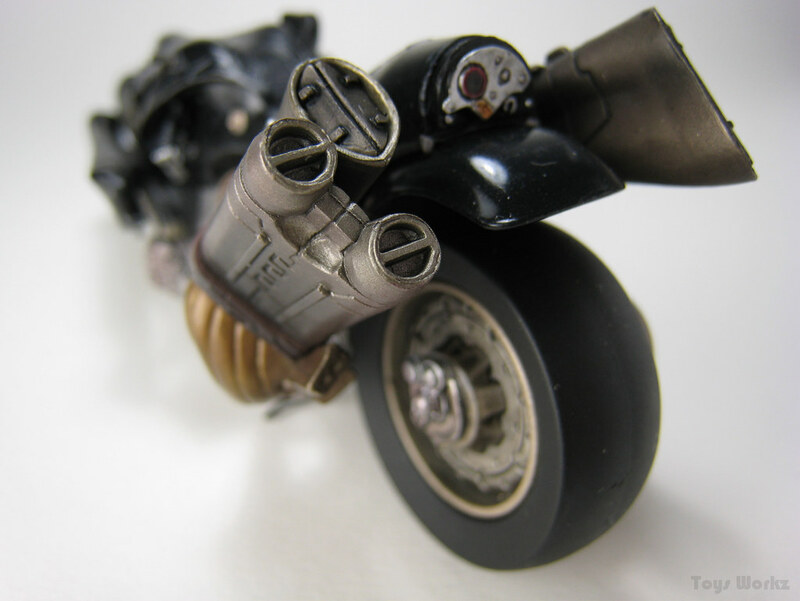 This entry was posted in Model Kits, Photography on June 5, 2018 by Rosemary Curtis.